Gov. Andrew M. Cuomo Wednesday announced that for the first time in 100 years, the public can now access for recreational purposes the Hudson and Cedar Rivers within the new lands recently added to the Forest Preserve. Parking areas, public motor vehicle access, a hiking route to the Cedar River and waterway access sites for non-motorized watercraft are designated and available for public use on these newly acquired public lands in the towns of Newcomb and Minerva in Essex County and Indian Lake in Hamilton County. The Adirondack Park Agency has proposed seven possible land classifications for the Essex Chain Tract and surrounding lands. The proposed land classifications and the schedule for public comment may be found on the APA website www.apa.ny.gov/. Public access facilities outlined in the interim plan have been established where existing areas are cleared and infrastructure is already in place. Recreation users will need to follow existing paths to carry around rapids when traveling down the Hudson River and camping is allowed more than 150 feet from any road, trail, spring, stream, pond or other body of water. Marked trails, camping sites and portages will be designated and constructed once DEC, in consultation with APA, completes a Stewardship Plan later this summer. This Stewardship Plan will identify the location for a new trail for the public to safely access OK Slip Falls, designated camping sites along the Hudson and Cedar Rivers, and the official locations of portages around challenging stretches of the Hudson River for paddlers. Paddlers can travel nearly 12 miles on the Hudson River from Harris Lake to a landing just above the confluence with the Indian River. There are several stretches of flat but moving waters that people of all skill levels can enjoy, especially in the upper portion. The river also contains numerous rapids and shallow rocky areas. Depending on water levels, the rapids are mostly rated Class 1, 2 or 2+. Under the certain water levels a few of the rapids may rate Class 3, such as Long Rapids and Ord Falls. During low water conditions a considerable amount of portaging, dragging and lining of kayaks and canoes will be required especially in the lower portion of the river. Less adventurous paddlers can take advantage of a long stretch of flat water above and below 28N, and the Blackwell Stillwater section above and below the Iron Bridge Landing, which also provides access to the lower Goodnow River. Trips shorter than the entire 12 miles can be taken by paddling from Harris Lake to the Iron Bridge Landing or from the Iron Bridge Landing to the Indian River Landing. Inexperienced paddlers should make use of the flatwater sections, carry around all rapids or hire a licensed guide to lead their trip. The Town of Newcomb Boat Launch on the Harris Lake (Beach) Road is the best location to launch canoes, kayaks and rafts. Parking is available at this location and in the nearby parking lot at the Town of Newcomb Beach. Information about the available access, including maps, is provided on a kiosk at the boat launch. The public can drive to a parking area located approximately 0.9 mile from the Iron Bridge Landing. Paddlers need to carry their canoes and kayaks between the parking area and the landing on the river. Information about the available access, including maps, is provided on a kiosk at the parking area. The Iron Bridge parking area can be reached by taking the Goodnow Road, off Route 28N in Newcomb, approximately 5.5 miles south to the southeast corner of Goodnow Flow. Turn left on to the access road and the parking area is two miles away at the end of the access road. DEC recommends that only high clearance pickups and SUVs use the roadway at this time. Another parking area is located at the end of the Chain Lakes Road, approximately three miles north of Route 28 in Indian Lake. The public can walk the 0.8 mile on the roadway between the gate at the parking areas and the landing above the confluence of the Hudson and Indian Rivers. Information about the available access, including maps, is provided on a kiosk at the parking area. The Cedar River, Pine Lake, Mud Pond, Clear Pond, Corner Pond and the surrounding lands can all be accessed from the same parking area at the end of the Chain Lakes Road. It is a 3.5-mile walk from the parking area along a roadway to the landing on the Cedar River. Paddlers can enjoy the flatwater section of the Cedar River above and below the landing. The rapids above and below the flatwater section and the lack of carries prevents paddlers from accessing the upper reaches of the Cedar River and the Hudson River from the landing. Paddlers can also enjoy the four ponds on the forest preserve lands south of the Cedar River. Anglers can fish the Cedar River for brook and brown trout. Anglers can also fish for native lake trout and stocked rainbow trout on Clear Pond or stocked brook trout and panfish on Pine Lake. Float planes previously restricted to landing on the western portion of Pine Lake can now land anywhere on the lake. Additional information on the recreational opportunities on these and other nearby forest preserve and conservation easement lands can be found on the DEC Eastern Adirondacks Trail Information web page at www.dec.ny.gov/outdoor/9199.html. The Essex Chain Lakes Tract and the Indian River Tract are part of the former Finch, Pruyn & Co. lands purchased by New York State from The Nature Conservancy (TNC). New York state has bought 9,300 acres of Adirondack land that is part of the former Finch, Pruyn & Co. property. 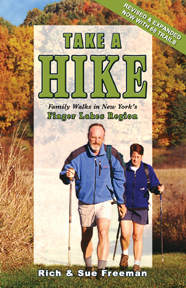 The land sprawls across several Adirondack counties and contains waterfalls, wetlands, camping spots, hiking and hunting areas, and access to the Hudson River and Lake Champlain. Today’s announcement is the second of five installments in the state’s purchase of 69,000 acres owned by The Nature Conservancy was begun last year. “Adding these former Finch lands to the Forest Preserve will open a magnificent stretch of the Upper Hudson to the public and attract new visitors to the interior of the Adirondacks,” Department of Environmental Conservation Commissioner Joe Martens said today in a statement. — Indian River tract, Essex and Hamilton counties. The total purchase price of the 69,000 acres over the five years will be $49.8 million, and that will be drawn from the state Environmental Protection Fund. The land includes 180 miles of rivers and streams, 175 lakes and ponds, 465 miles of undeveloped shoreline along rivers, streams, lakes and ponds, and six mountains taller than 2,000 feet. The majority of these lands are concentrated within the central lake and tourist region of the Adirondack Park in the towns of Newcomb, Indian Lake, North Hudson and Minerva. The Nature Conservancy purchased 161,000 acres of Adirondack land from Finch, Pruyn & Co. for $110 million in 2007. Martens was president of the Open Space Institute when it loaned The Nature Conservancy $25 million to purchase the land. New York state has taken ownership of the Essex Chain of Lakes tract in the Adirondacks. The deal to buy the 18,294 acres from The Nature Conservancy for almost $12.4 million closed on Dec. 21. The purchase is the first in a five-year program of buying 69,000 acres of former Finch, Pruyn and Co. timberlands for a total of $48 million. The land is in the towns of Minerva and Newcomb and includes 11 lakes and ponds, nearly 15 miles of Hudson River shoreline and 8.5 miles on the Cedar River shoreline. There won’t be public access to most of the property until the fall, when two hunting club leases on a total of 11,600 acres expires. An Adirondack environmental group is calling for creation of a new 39,000-acre Upper Hudson River Wilderness Area on former Finch Paper Co. lands. This summer, the state announced plans to purchase 69,000 acres over the next five years from The Nature Conservancy, which acquired the land from Finch Paper. The 22,000-acre Essex Chain Lakes tract will the first tract purchased, in 2013. The group Protect the Adirondacks has a proposed a new wilderness area that would encompass much of this property. The proposed wilderness area is centered on a stretch of Upper Hudson River from the town of Newcomb to North River. It would include more than five miles of the Cedar River and four miles of the Indian River as well as dozens of other lakes and ponds. The new wilderness area would be created from roughly 19,000 acres of former Finch Paper and 20,000 acres of existing forest preserve lands in the Hudson Gorge Primitive Area (17,000 acres) and the Blue Mountain and Vanderwhacker Wild Forest Areas (3,000 acres). The state Department of Environmental Con servation has indicated plans to continue floatplane access to First and Pine lakes on the edge of the proposed new wilderness area. Bauer said his group recognizes the established floatplane use on these lakes and has drawn proposed boundaries to classify those lakes as wild forest. The group also recognizes public interest in access to the Essex Chain Lakes for canoe camping and has drawn boundaries for road access to this area through conservation easement and wild forestlands. Bauer said he believes the new wilderness area would enhance the popular Hudson River-Indian River whitewater-rafting industry by managing, for the first time, the Hudson River as an integrated resource and by providing much improved day use and camping opportunities through the entire length of the Hudson River Gorge. The proposed area would be larger than nine existing Adirondack Park wilderness areas. Five existing wilderness areas have more than 100,000 acres each. They are the High Peaks, West Canada Lake, Five Ponds, West Canada Lake and Silver Lake areas.